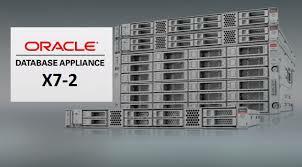 One of the great advantages of the Oracle database Appliance HA is the possibility of Virtualization through OracleVM. This virtualization wasn’t possible for the other members of the Oracle Database Appliance. Until now. Since the birth of the ODA X6-2 HA, the net usable storage has become more of a challenge when advising a customer as the X5-2 HA had substantial more – but slower – storage.